Saturday, November 21, 2015, 2:00 - 4:00 p.m.
Across a career that reshaped Australian art, the celebrated and controversial Modernist Margaret Preston brought an uncanny intensity to the depiction of flowers—in both oil and woodblock print. Of her iconic self-portrait, now hanging in the Gallery of New South Wales in Sydney, she remarked acidly: “I am a flower painter—I am not a flower.” But was the distinction so simple? Perhaps not. New evidences suggest Preston may well have been familiar with exercises of metempsychotic self-exchange with flowering plants, techniques used by esoteric practitioners of the Japanese art of Ikebana or Kado, the ancient art of flower-arranging. Was Preston possibly initiated into occult techniques of flower gazing by associates of the Order of the Third Bird? On 21 November, visitors to the SAIC Extension Gallery will have the opportunity to hear a preliminary report on this fascinating nexus of conjured problems, and will be invited to experiment firsthand with the research process by means of a series of reconstructed attentional exercises staged in the gallery. 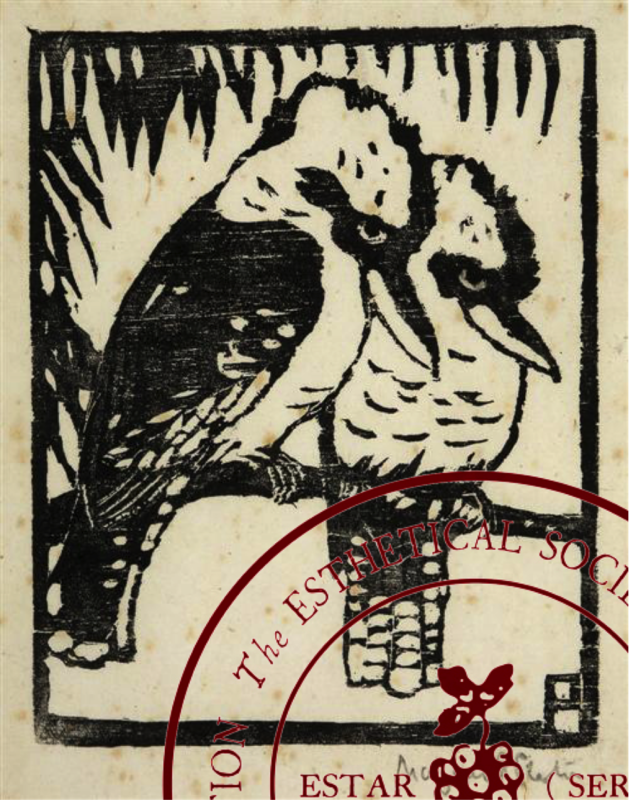 About ESTAR(SER): The Esthetical Society for Transcendental and Applied Realization (now incorporating the Society of Esthetic Realizers) is an established body of private, independent scholars who work collectively to recover, scrutinize, and (where relevant) draw attention to the historicity of the Order of the Third Bird. (www.estarser.net) The “Preston Working Group” consists of Sal Randolph, Caitlin Sweeney, Audra Wolowiec, and D. Graham Burnett. About the Order of the Third Bird: There remains some confusion about the history and practices of the body known as The Order of the Third Bird, but evidence points to its having been for some time a loose network of cell-like groups that engage in ritualized forms of sustained attention to works of art. The canons of secrecy around these activities—their structure and purposes—have traditionally been sufficiently restrictive as to leave some doubt as to whether any individual professing knowledge of the Order could in fact be genuinely associated therewith.